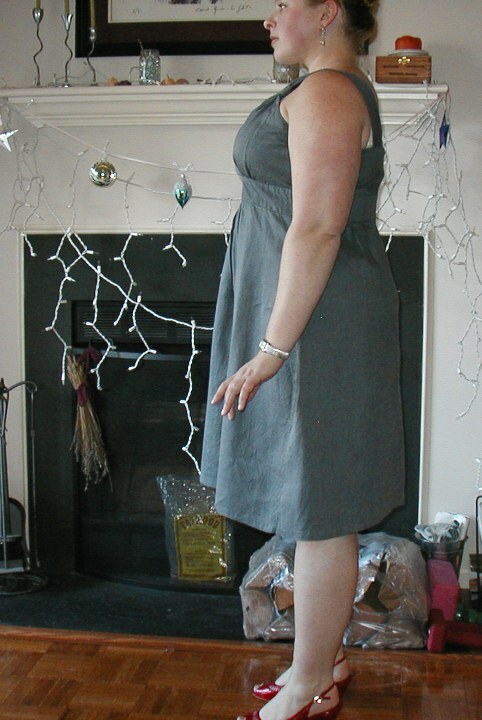 A grey sundress. Isn’t the concept kind of an oxymoron? I suppose. But I love this charcoal-dark grey, especially with the sheen of linen. And I love that it’s a completely atypical and sophisticated color for summer. Plus, I look really good in grey; it tones down my coloring (pink cheeks, brassy hair). 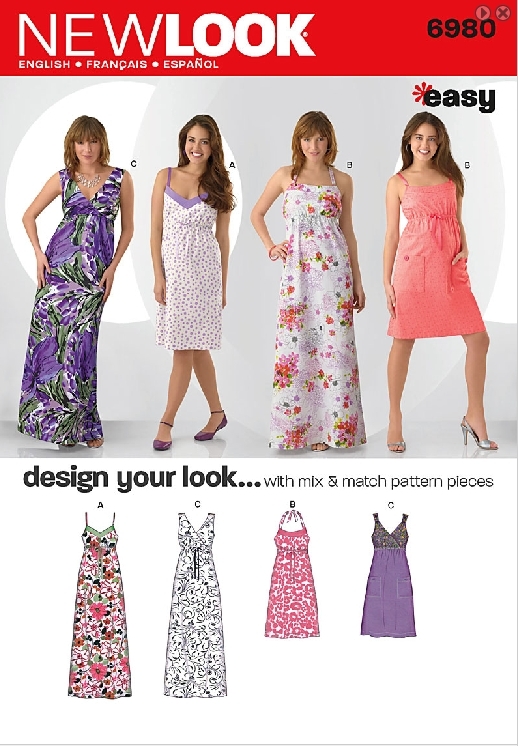 The Pattern: I used New Look 6774, Design-Your-Look Dress pattern with interchangeable skirt, bodice, and strap options. 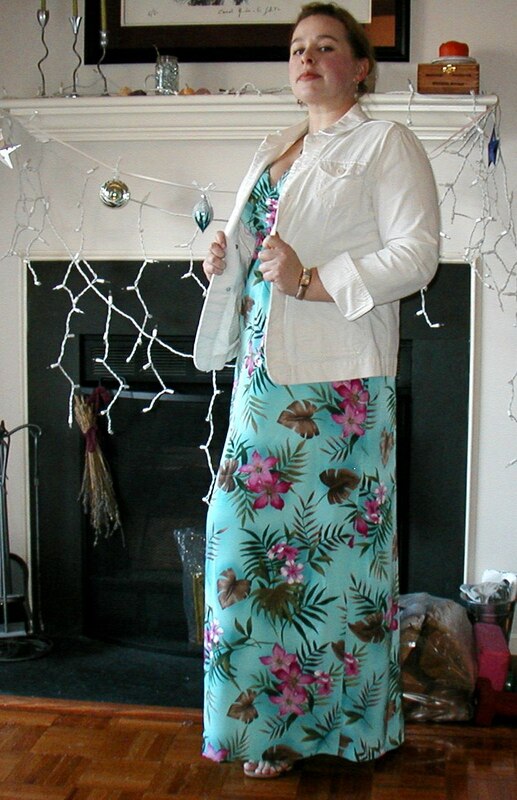 I used the crossover bodice with cinched shoulder straps (view H) and the knee-length skirt option. 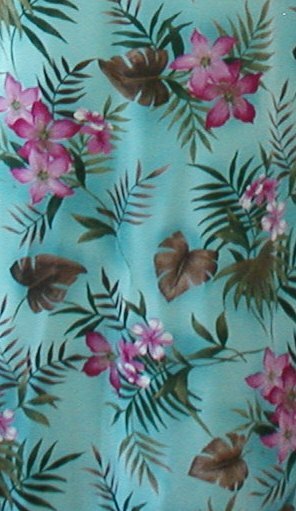 About this Dress: The only true alteration I made in the pattern was to take a small dart along the front neckline of the pattern muslin to prevent gaping in the finished bodice neckline. I used a size 14 pattern for the bodice front but a size 18 pattern for the bodice back, midriff pieces, and skirt, thinking that it would accommodate my fitting issues. The bodice back sizing worked, but the dress turned out way too billowy through the skirt, especially considering the body of the fabric. The little gathers in the skirt front and back combine with the linen fabrication to make a very floaty garment, which feels wonderful on hot days, but wrinkles horribly and ends up looking poufy. I have yet to remove the skirt so that it can be taken in. Not the most flattering silhouette in the end. But light and airy for hot hot summers! I didn’t sew the zipper according to the instructions. It didn’t make any sense to me to create a lap of fabric over the zipper, so I just centered it. So much easiser, especially with linen. If I make this dress again, it will be in a material that doesn’t wrinkle so badly. 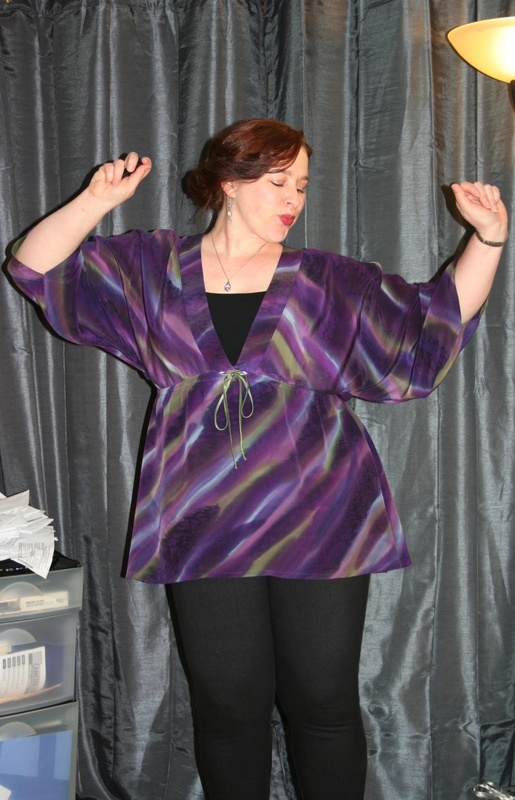 All in all, I like the finished garment, but it does have a lot of skirt volume. Since choosing this pattern and wearing the dress a few times, my perceptions of the benefits of empire-waisted dresses for the curvy-figured has shifted significantly. 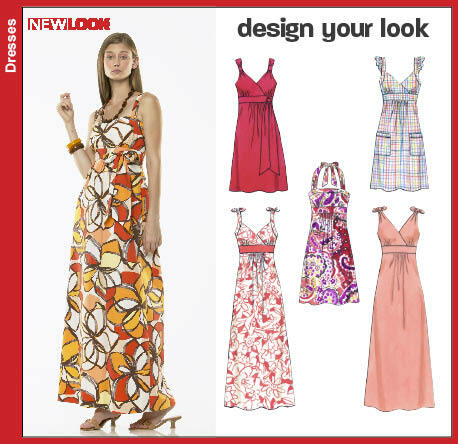 I still like the ease and casual flavor of empire-waisted sundresses, but for real figure flattery, my shape does best with dresses that emphasize my natural waistline.